When Jacques Viénot suggested the creation of an international federation at the Congress ‘Beauté, bien-être et source de richesse’ (Beauty, well-being and source of wealth) in Paris in 1953, he became the driving force behind the Industrial Aesthetics movement in France. Before the Second World War, his career was linked to the world of decorative arts. His involvement in artistic circles and his standing as a businessman were an integral part of the international outlook which led him to create the French branch of Porza at the beginning of the thirties. This association encouraged dialogue and understanding between nations. It was a place conducive to passionate debates in the field of the arts and intellectual thinking in the 1930s. The Second World War put a brutal end to this venture. Porza’s pacifist ideas were no longer plausible, indeed they could even have been viewed as suspicious, and this story remains a little-known episode in the cultural history of the interwar years. In the Viénot family archives, we were lucky enough to find a members’ newsletter, Nouvelles Brèves. Updated each month between 1932 and 1938, the document provides us with the names of the key members and allowed us to retrace the ideological context of Porza’s creation, as well as its ties with French artistic circles. The research question considered in this text centres on the extent to which Porza played a seminal role in Jacques Viénot’s commitment to the creation of the industrial design movement in the 1950s. Jacques Viénot announced the birth of the Porza association in the first edition of his review ‘Ce temps-ci’ (1928). 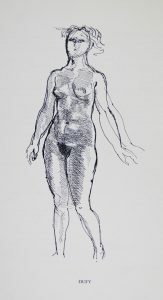 Founded in the village of Porza (in the Lugano district of Switzerland), by the German painter von Alvensleben, the Swiss sculptor Mario Bernasconi and the Russian painter Arthur Bryks, the aim of the association was to promote artistic and intellectual dialogue on an international scale. We will begin by casting some light on this movement using the archives and catalogues kept by Jacques Viénot’s family. We will then go on to consider the role played by Porza in forming the beliefs and relationships which led Jacques Viénot to start the Industrial Aesthetics movement at the end of the war. It is helpful to take a closer look at Pierre, his brother, in order to understand Jacques Viénot’s initial involvement in Porza. Following his marriage to Andrée Mayrisch, Pierre Viénot became part of the intellectual circle in Colpach, Luxembourg. Together with his father-in-law, the industrialist Emile Mayrisch, he became involved in the creation of a Franco-German study group (1926-1938), whose ideas about reconciliation between nations had much in common with the pacifist beliefs of Porza. Pierre Viénot was also a regular at the meetings of intellectuals in Pontigny organised by Paul Desjardins and it is in Pontigny that we find evidence of a first contact made by Jacques Viénot to set up Porza in France in 1931. It was necessary to find venues for its members and in particular for foreign artists and intellectuals. Jacques Viénot’s commitment to Porza can be better understood in the context of his cosmopolitan activities and his support for the Modern Movement. In the 1920s he had managed a large, internationally renowned decorative arts (DIM). At the beginning of the thirties, DIM was hit by the Great Depression of 1929 and the company disappeared. 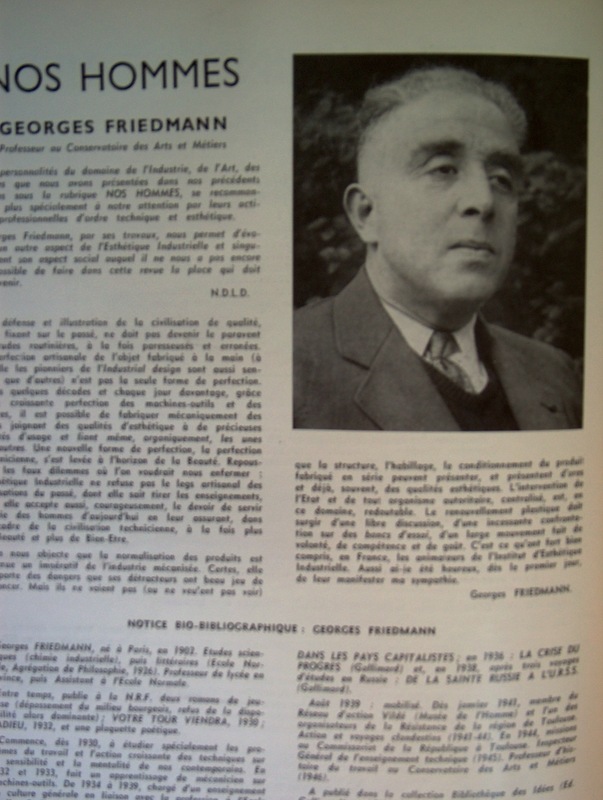 But when Jacques Viénot was hired as « foreign and domestic sales advisor » by the famous store « Grands Magasins du Printemps » in 1933, he was able to continue his international activity, both as businessman and key figure in the artistic debates of the time, as « Nouvelles Brèves » (the newsletter which he published between 1932 and 1938) clearly demonstrates. The Porza newsletter appeared regularly each month from 1932 until 1st January 1938 and announced, in a set format, news of its members and the association in France and abroad. Regarding members’ news, there were regular announcements about the latest books, publications and conferences, as well as information of all kinds organised by discipline: fine-arts, architecture, ethnology, graphic arts, music, sculpture, painting, theatre, cinema and dance. The list of activities was impressive. International sections developed in different countries. A list drawn up in newsletter no. 28 talks of one thousand five hundred members in Germany divided between ten sections. France had more than two hundred French and foreign members. There was also an active section in Nottingham, England. In newsletter no. 2, Holland and Greece are mentioned. There is also mention of a meeting in Finland, with a view to creating a new section. The following issue confirmed that on 15th February 1933, Hans Esdras Mutzenbecker, artistic director of the Finnish national opera, ‘gathered together the intellectuals of Helsingfors, notably the rector of the University, Professor Tulenheimo, already a Porza member, in a constituent assembly’. Porza had over seven hundred foreign visitors in Paris during the International Exhibition of decorative and industrial arts organised in Paris in 1937. New members appeared and newsletter no. 33 from January 1938 announced applications from Chicago, London, Gothenburg, Sao Paulo and Lahore. But this issue was to be the last and the rapidly growing momentum of the international association was brutally stopped by the Second World War. The friends of Porza in France are, for the most part, members of the Union of Modern Artists (UAM). Among them we can find graphic designers such as Jean Carlu (1900-1989), a peace campaigner who, in April 1932, went to Berlin where he proposed his association’s programme for ‘graphic peace propaganda’. Other noteworthy figures include architects actively involved in L’Architecture d’Aujourd’hui (Today’s Architecture), a magazine committed to modernism. (…) we organised a symposium at Royaumont Abbey on a rather risky subject: does artistic copyright favour art? I defended the opposing point of view: if the notion of plagiarism had existed in the past, imagine how many works of art we would have been deprived of! Many sculptors, painters, artists, decorators, museum curators and art critics, whose names have been forgotten by history, are also quoted. It would be useful to carry out a study to define/outline this French community more precisely, going beyond the simple lists of names discovered in the Newsletter, in order to understand the bonds forged with members from other countries. As the title of the Newsletter indicates (Nouvelles Brèves), the monthly reports are very brief, basically presenting the calendar of programmed events. We were nevertheless able to obtain some precious facts about the current of ideas which fuelled Porza and, in particular, about the debates within the artistic community represented therein. ‘The Thirties, a period of strong mobilization where the dominant mood was that of imminent war and the ensuing great causes which stir people into action (…)’. The announcement in newsletter no. 2 of 1st February 1932 of the foundation of a Compagnie d’Organisation Rationnelle with the public interest as its mission, showed a prevailing rationalist mood which seemed to be one of the ‘remedies’ to the ‘torment of the thirties’. In the face of totalitarian ideologies, Jean-François Sirinelli notes three solutions: ‘the incantatory remedy which proposes an idealised vision of the country, France as she should be (…); the left-wing humanism embodied by radical intellectuals, such as Alain, or socialists, like Jean Guéhenno (…) and the rationalism which has the “so-called social sciences”, as well as their annexes, trying to compete with exact sciences’. It would seem at the present time that internationalism has become a rare flower that can only blossom in fields of prosperity, a rare commodity which it is forbidden to use when plagued by the difficult times we are currently traversing, a kind of amateurishness for civilised minds. We believe, on the contrary, that the fundamental principles of Porza’s activity deserve to be upheld more than ever, and that they will not be influenced in any way by incidents of international policy. The war that followed obviously impeded this commitment. The pacifism of the thirties stemmed from a generation’s guilty conscience after the massacre of the Great War. This phenomenon generated ‘a certain incapacity to contemplate another war (…); a kind of mental block about totalitarianism’. Jacques and his brother Pierre were amongst those who fought in the First World War and who campaigned for the rallying of intellectual forces for peace. But as soon as the Second World War began, Pierre joined the Resistance. For his part, Jacques continued his career at Les Grands Magasins du Printemps. While his eldest son Henri was stationed in a youth camp in the Vaucluse (‘chantiers de jeunesse’), his second son Gilles followed his uncle Pierre who boarded the Massilia for North Africa. 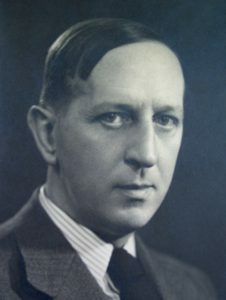 Pierre Viénot was later accused of desertion, along with Jean Zay and Pierre Mendès France, before escaping to rejoin General De Gaulle and becoming an ambassador of the provisional government in Algiers to the British government in London. One of the questions tackled at Porza which led to a ‘plea for Industrial Design to be taught in France’, was the problem of education. During an exhibition organised by the association in May 1935, a debate arose once again over the defence of the artisan against ‘the intellectual who no longer uses his hands’, (supported by the painter Albert Gleizes) versus the idea of art as an evolving discipline which must embrace contemporary techniques (defended by the architect Raymond Fischer and Philippe Diole, director of the Beaux-Arts journal). Maurice Barret, another architect, suggested setting up an experimental art college whose purpose would be to develop an aesthetic culture steeped in social thought. The idea shows his awareness of the urgent need to reform the education system in the face of poverty: ‘Before the war, being young meant having life before you; during the war, it meant having death before you; now, it means having poverty before you’. Taste should be ‘cleaned up’ and the general idea was that we should start with the teachers. The question of individualism of the artist, and the relationship between technical education and artistic education, were also discussed. These issues were taken up again by Viénot’s forthcoming République des Arts, the review of a century where aesthetic thinking was confronted with social and technical progress due to industrialisation. The importance of reconciling art and technology has long been accepted, but on what basis? Barret emphasizes this sensitive aspect when he warns against the dangers of highlighting ‘soul-destroying technical questions’ which hinder the creative process, ‘the soul of art and science’. The respective territories of art and technology are under the influence of a shift in aesthetic thought which disrupts both of them and which, regardless of whether one is on the side of sentiment or reason, maintains the classical tradition of a philosophical framework governing a world order. We have already mentioned the friends of the UAM, quoted principally in the Nouvelles Brèves, as well as the nature of certain discussions, but the Porza network remains to be studied in all its complexity. 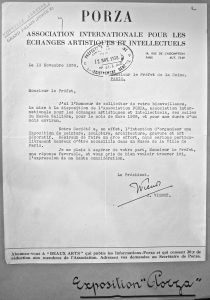 The members were not limited to artists, as an impressive list of names found in Paris City Council minutes would have us believe (29th December 1938). The extract announces that the Galliera Museum will be made available to Porza members. The honorary president is former minister Anatole de Monzie. Many political and institutionnal figures are present. The classification of members by discipline demonstrates the diversity, from philosophy to political economy, law, history, social sciences, journalism and literature. ‘From idea to form’, Porza exhibition at the Galliera Museum, Paris 1939. It is thus in 1939 that a last exhibition is organised by Porza, just before the war. From idea to form, at the Galliera Museum (March-April 1939), brought together nearly seventy artists and designers in the interdisciplinary spirit characteristic of modern thought. It would thus be futile to look for a common artistic ideology amongst the artists taking part in the Porza exhibition. Is that to say that the public is losing out? I believe, on the contrary, that the very diversity of the trends demonstrates the vitality of the arts and the innovative spirit which drive contemporary artists. (Preface to the catalogue, Jacques Viénot, president of the Porza association, 1939). Porza’s pacifist ideal was destroyed in 1939 and the association disbanded. It was no doubt difficult for the members, some of whom later became in the Resistance, to continue what could be considered as shutting their eyes to the inescapable outbreak of war. For this reason the Porza Movement remained relatively unknown in France. The refusal of sectarianism has remained a key foundation in Jacques Viénot’s thinking. In 1945, convinced of the power of the spoken word and writing, and a great believer in ideological debate, he founded the Clermont Publishing House (les éditions de Clermont), with the launch of the review Art présent. 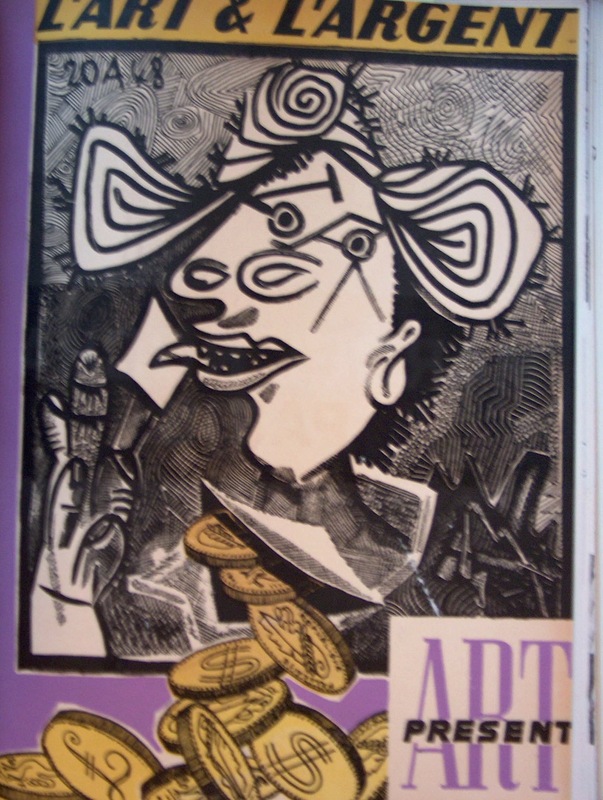 He also tried to branch out into art publishing, a venture which he fairly quickly gave up. Three monographs on artists were published. The first, in 1946, was devoted to Leonetto Cappiello, with a preface by Jean Cocteau. The text was written by Jacques Viénot who married Françoise Cappiello, the artist’s daughter, in 1943. Once again in this book, he asserts the interest of works on the fringe of ideological movements and his refusal of the hierarchy between the art of the decorator and the art of the painter. 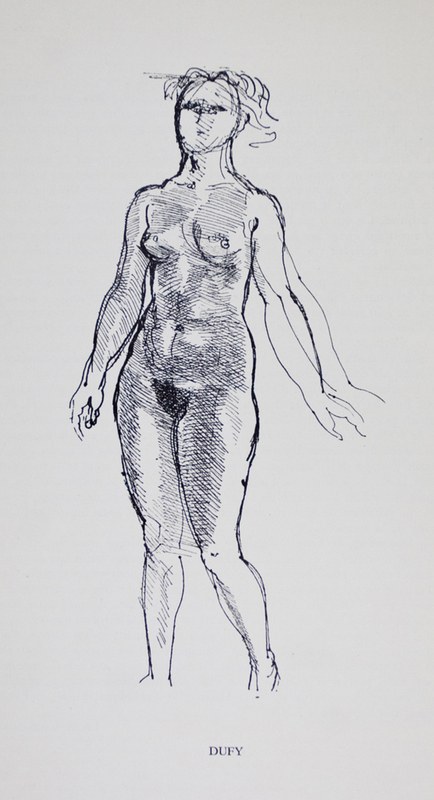 The two others were dedicated to the painters Edouard Goerg and Moïse Kisling. The review Art présent was aimed at both the authorities and artists, but also at town planners, architects, engineers… all those, in fact, whose role was to be the “enlightened guides” of the Reconstruction. 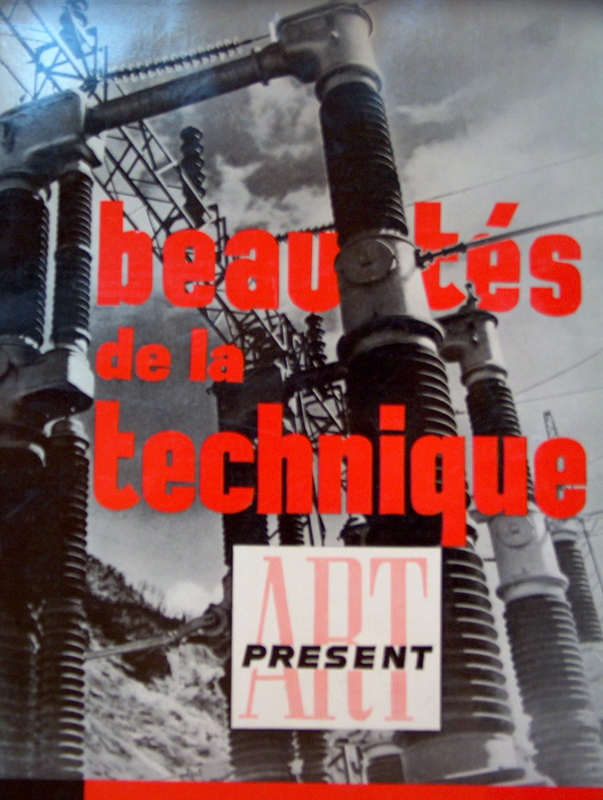 However, the last issue, in 1950, announces to its readers that after “having explored the most diverse horizons of artistic creation”, the time has come to devote itself entirely to “Mechanization Art” (Art du machinisme). Art présent, nouvelle série is announced and becomes Esthétique Industrielle. 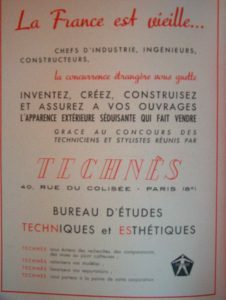 With the creation of Technès in 1948 as well as the setting up of the Institut d’Esthétique industrielle in 1951, Jacques Viénot reached an important turning point in his career. 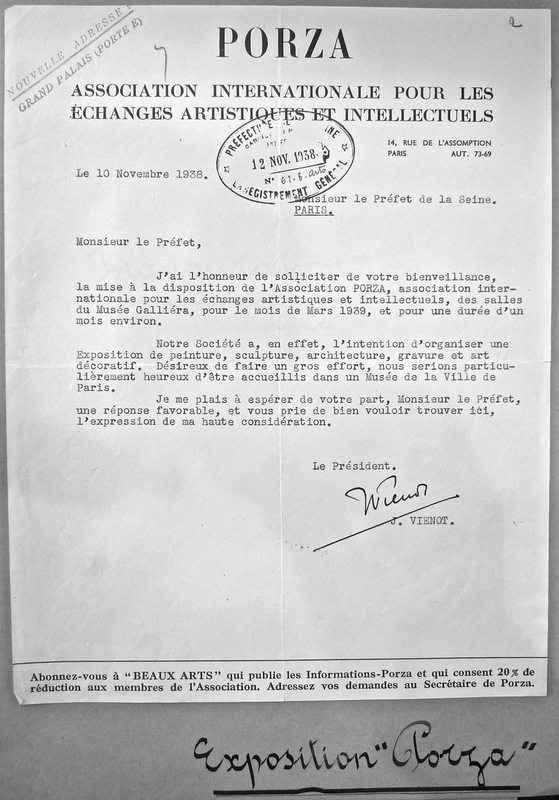 (Letter by Jacques Viénot to Fernand Léger, Esthétique industrielle 2 (1951). Other personalities linked to Porza emerge at this time, such as Jean Coutrot, industrial engineer. This explains in part ‘Jacques Viénot’s ability, so soon after the war, to forge relationships at management level and to establish links between his Institute and employers’ organisations like the CNOF (National Committee for French Organisation – 1925) and the CEGOS (1936, an offshoot of the CGOST, General Commission for the Scientific Organisation of Work – 1926)’. A great number of personalities from these intellectual circles had also contributed to building the theoretical base for these developments, such as the philosopher Etienne Souriau and the sociologist Georges Friedmann, fellow travellers of the Institute. This represents a break with social thought in favour of the worker-craftsman, born of the Arts and Crafts and still very present in the UAM and Porza. Fig 10. ‘Nos hommes’ (Our Men), Georges Friedmann, professor at the Conservatoire des Arts et Métiers (national school of engineering and technology), Esthétique industrielle no. 6, 1952. It is necessary to define the outlines of a new discipline “which comes under neither fine arts, nor decorative arts, nor pure technique” with specialists (of whom certain members of La République dreamed…) who could give assistance to the engineer and contribute towards educating producers to the greatest advantage of users and consumers. The presence of political figures in Porza also enabled Jacques Viénot to establish contacts around his Institute and to create the label Beauté France. Unfortunately however, the archives uncovered are not sufficient to explore this question further and to establish precisely the continuity or break-up of these relationships between the pre-war and Reconstruction years. What is sure is that the French state went for a long time without attaching any great importance to the Industrial Design movement in spite of its members’political activism. We hope that it will bring to international relations in the field of industrial design, all the advantages which we are entitled to expect, despite the fact that it has deviated significantly from the principles formulated by Pierre Vago and Jacques Dumond at the Paris Congress which was the point of depart for this organization (…). Congrès de Paris, cover page. Jacques Viénot had also started a battle to defend an aspect of industrial creation specific to France, as defined by the notion of industrial aesthetics. In his view, industrial aesthetics provided the ‘extra soul’ that Bergson called for, ‘so that our civilisation can become worthy of us’. This speech by Jacques Viénot, at a conference in Liège in 1954 shows his confidence in the role of moral and intellectual guide for Europeans. Behind the battle of words emerge the different movements of functionalist theories, which go from strictly utilitarian definitions to idealistic and spiritualist versions. This battle was lost when, in 1959, ICSID officially adopted the term “industrial design”. Porza was an association of international renown in which great men of art and thinking believed they could defend Enlightenment thinking in the face of totalitarian threats. Jacques Viénot, founder of the French branch of Porza, always remained firmly attached to these values. Using the Newsletter (Nouvelles Brèves 1932-1938) conserved in the Viénot family archives as our basis, we have tried to retrace the ideological context of this movement’s creation in the interwar period, its commitment to pacifism and its ties with the circle of French creators close to the Union des Artistes modernes. In Porza can be found the great questions which led artists to rethink their role in industrial society and which were summarised by Viénot in his plea for a « République des Arts », published in 1941. We have shown how Porza remains a reference for Jacques Vienot in his activism for industrial design in the fifties. His commitment to this movement also stemmed from a desire to defend the prestige of French culture in the world. This militancy manifested itself in the 1953 Congress where he set up a Comité de liaison internationale, precursor of the ICSID. During this Congress, Jacques Viénot urged the authorities and industrialists to ensure that France did not become “a shirker of modern times, eine Drückerbergerin der moderne Zeit (…)”. He also dreamed of founding a commission for inter-European pedagogical studies which would allow France to regain “the voice that was listened to by the world in times past”. Very quickly he became convinced that the ideals of decorative arts always discussed in Porza meetings, even in their modern forms represented by the UAM, were no longer sufficient for the development and needs of industrial society. At the end of the war his choice was made, the top priority was to come to the engineer’s “rescue” and to “educate the producers”. 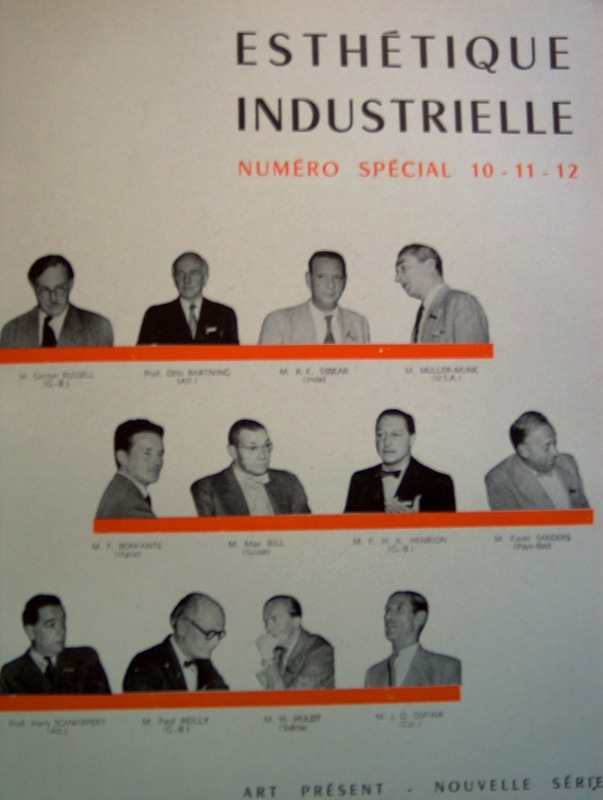 Other relationships, formed during the Porza era, contributed to the development of initiatives firmly fixed on economic and institutional ground: the creation of the design office Technès, the Institut d’Esthétique industrielle which brought together the bosses and managers of the major post-war companies, the label Beauté France and later, in 1956, the first teaching programme for industrial design. The partisans of Formes Utiles, a movement created within the framework of the UAM in 1949, and in particular one of its representatives, the architect André Hermant, criticised it for being too mercenary in its approach. Yet idealism, the belief in a truth higher than art and the humanist beliefs of Porza, always remained at the heart of his defence of industrial aesthetics, a term which seemed to him much better suited to translate the idea of “extra soul” than the Anglo-Saxon expression of “industrial design”. Fig. 12. 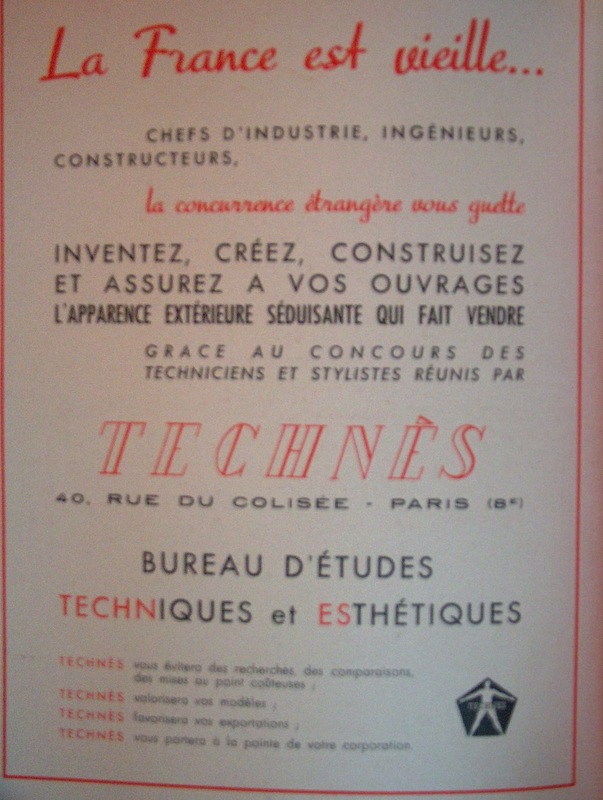 Advertisement for Technès, Art present, no. 7-8, 1948. Jocelyne Le Bœuf, Jacques Viénot (1893-1959), pionnier de l’esthétique industrielle en France, PUR, Rennes, 2006. ‘The name is that of an international association whose aim is to set up establishments known as Porza Houses in European Countries. These houses will provide a pleasant place to stay and a suitable environment in which to work for all the “intellectual artists” who belong to the Association. It is funded by donations and legacies and appeals to the generosity and goodness of those who show an interest in the Association’s work’, Chronicle by J. Viénot, ’Ce Temps-ci’, Cahiers d’art contemporain, no. 1, 1928, p. 20. G. Mueller, Andrée Mayrisch et Pierre Viénot – un couple politique entre Berlin et Paris (1923-1940), Michel Polfer / Paul Margue. 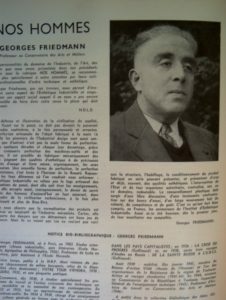 ‘Pierre Viénot, créateur du comité d’études franco-allemand (1926-1938), et européen de la première après guerre’, Journal of European integration History, seventh issue (1/1997) coordinated by Wilfried Loth. The crisis experienced by German society just before the advent of Nazism is the theme of a book by Pierre Viénot, Incertitudes allemandes (German Uncertainties), the publication of which was announced in the first issue of the newsletter (1932) for Porza members in France, with the comment ‘Political prize for New Europe awarded to best book of contemporary politics published this year’. Elected as socialist MP in the Ardennes in 1928, Pierre Viénot later joined the Blum government after the victory of the Front Populaire and won fame in London as ambassador of the Algiers Committee to Général de Gaulle. Andrée Mayrisch pursued a political career after the death of her husband in 1944 and was notably MP for the Ardennes from 1945 to 1950. Elected mayor of Rocroi in 1953, she served four mandates until her death in 1976. For over 30 years, Pontigny Abbey was the place chosen by Paul Desjardins to bring together intellectuals, writers, journalists and politicians, committed to defending European humanism, See F. Chaubet, Paul Desjardins et les décades de Pontigny, Villeneuve-d’Asq, Presses Universitaires du Septentrion, 1999. In issue no. 33 of Nouvelles brèves, January 1938, we can find the following account about Porza members received in Pontigny ‘(…) we came to pay tribute to a forum of international exchange which boasts a long history and a worldwide reputation, and shares our ideals’. According to information from Marie-Odile Rolland, président of The Friends of Pontigny who sent us some notes discovered in the (unpublished) diaries of Paul Desjardins. This allowed us to identify an initial contact on 5th June 1931. Then come a few more lines, still on the subject of Jacques Viénot, mentioning the arrival and welcome of Einstein’s-in-law and German fugitives (12th April 1933). But even before his efforts for Porza France, Viénot was already actively involved in the movement, as shown in the article, « Porza vu de la tour Eiffel » (« Porza seen from the Eiffel Tower »), first edition ot the Porza review, 1929, archives from the Mario Bernasconi Museum, Pazzallo, Switzerland, in which he speaks of this association as being like an idea « which implies a modern creativ reality ». Jacques Viénot was a member of the Société des Artistes Décorateurs (SAD), set up in 1901 to help create ties between artists, craftsmen and the industrial sector. In the 1920s, a debate arose within the SAD which brought into conflict those who wished to keep up the tradition of French craftsmanship and luxury and those campaigning for a new approach to art in the context of industrial production. Jacques Viénot, whilst manager of a store reputed for its luxury fittings, particularly overseas, also shared the ideas of the second group. He particularly admired the German and Austrian modern thinking which had created vocational schools, and he spoke highly of it in a speech made at the Rotary Club before the great Art deco exhibition in Paris in 1925 (typed text found in the family archives). His review Ce temps-ci, a contemporary art journal of which he published 12 editions between 1928 and 1931, clearly shows this position of modernity which was highly compatible with the promotion of his company amongst international high society. Founded in 1919, DIM stands for Décoration Intérieure Moderne (Modern Interior Décoration), and also for Décore-Installe-Meuble (Decor-Installation-Furniture). Trade Register, City of Paris Archives, registration 38 764 on 1st April 1919. The Printemps recruitment file mentions that the applicant has « excellent connections » and speaks fluent English and German, Le Printemps Archives, file n° 45248. His position as sales consultant and manager had given him the opportunity to be involved in the design and distribution of new ranges of furniture which were representative of functionalist modernism. Nouvelles Brèves, 1932-38 (compendium of all the monthly Porza newsletters, artistic and intellectual association French section), Desableaux printing works, Pontoise (family archives). Issue no. 11 of Nouvelles brèves, February 1932, announces the creation of the Association ‘Friends of the national film library’. One of the founders is Charles Léger, who also happens to be a Porza member and director of La Tribune libre du Cinéma (an open forum on cinema). 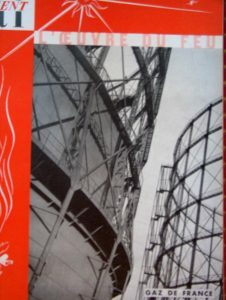 At the time of 1937 Exhibition, Jacques Viénot was vice-president of a commission responsible for reviving « l’art des fêtes ». 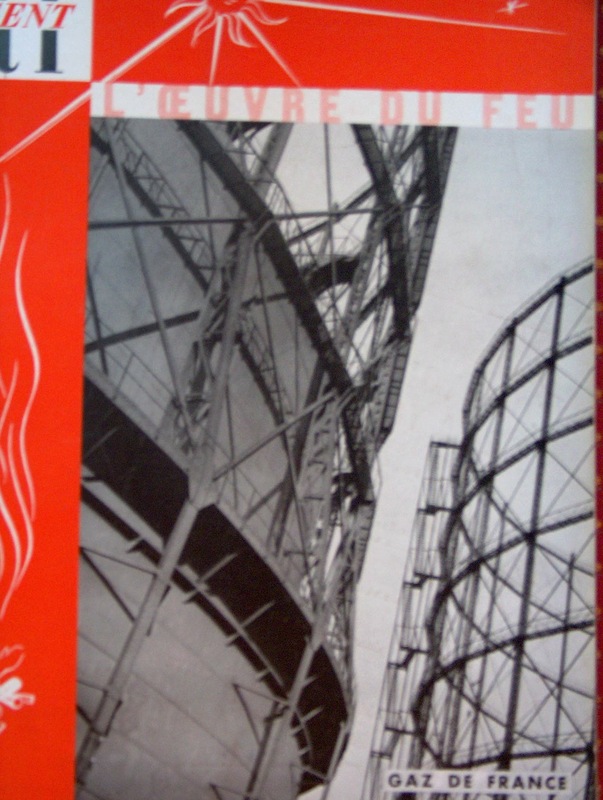 See L’Architecture d’aujourd’hui, n° 8, aôut 1937, p. 7 and L’Architecture d’aujourd’hui, n° 9, sept. 1938, PP. 79-81. L‘Union des Artistes Modernes was founded in 1929, following the conflict of opinions between modernists and traditionalists within the Société des Artistes décorateurs after the triumph of Art deco at the 1925 exhibition in Paris. As we have seen, Jacques Viénot associated himself with the Moderns and was thus close to the UAM but he never adhered to this movement. Nouvelles brèves, no. 5, 1st May 1932. In particular the architects Georges-Henri Pingusson (1894-1978), Robert Mallet-Stevens (1886-1945), Pierre Chareau (1883-1950) et Pierre Vago (1910-2002). P. Vago, Une vie intense, AAM ed., 2000, pp. 189-190. See also article published by A. Burnel, ‘Les Goüin, une dynastie d’entrepreneurs : histoire des dirigeants de la Société des Batignolles de 1846 à 1968’, Entreprises et Histoire, no. 12, 1996, pp. 75-88. In 1964, Henry and Isabel Goüin created the Royaumont Foundation for the ‘Progrès des sciences de l’Homme’, to which they bequeathed the abbey. 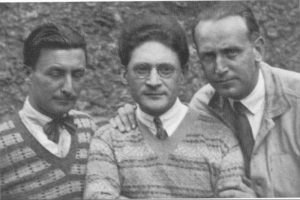 We quote some close friends of Jacques Viénot : the sculptors Jean Lambert-Rucki (1888-1967, born in Poland and settled in France in the early 1900s), Jean and Joël Martel (twin brothers 1896-1966) et Henri Navarre (1885- 1971). We also find the graphic designer Maximilien Vox (real name Samuel William Théodore Monod, 1894-1974), founder of the Micromégas review in 1936 and graphic designer for the catalogues at Les Grand magasins du Printemps where Jacques Viénot worked, the type foundry owner Charles Armand Peignot (1897-1983), the decorators Louis Sognot (1892-1970) and Jacques Dumont (1906-1988), the painter Albert Gleizes (1881-1953) and Georges-Henri Rivière (1897-1985) whose ‘very active role in highlighting the collections of the Museum of Ethnography (…)’ is described in newsletter no. 7 of 1st July 1932. J.-P. Rioux, J.-F. Sirinelli (edited by), ‘Le Temps des masses’, Histoire culturelle de la France, Seuil, 1998, p. 189. ‘Le Temps des masses’, op. cit., pp. 190-192. From an account by Henri Viénot, Jacques Viénot’s son, who speaks of his mother’s untiring energy in this enterprise. ‘Le Temps des masses’, op. cit., p. 144. Mendès France wrote the following about Pierre Viénot: ‘It was a scandal to see a great soldier like him charged with desertion. Enlisted at the age of eighteen in 1918, injured several times; discharged one hundred per cent, volunteered to go back to the front and injured once again, finished the war as captain, with the Légion d’honneur and numerous citations; excused from all military obligations in 1939, he enlisted again. Despite these qualifications, the new regime did not hesitate to throw him into prison. He was quickly transferred to Clermont-Ferrand where I was to find him again later’, P. Mendès-France, Œuvres complètes, S’engager 1922-1943, Gallimard, 1984, pp. 403-404. J. Viénot, Esthétique industrielle, Art présent, no. 18-10 and no. 20, 1956. Nouvelles Brèves, n° 27, 1st June 1935. The architect Raymond Fischer (1898-1988) was very involved in avant-garde architecture as early as the 1920s. Maurice Barret (1905-1985) joined the UAM in 1934. J. Viénot, La République des arts, Horizons de France, 1941. City of Paris Archives, VR- 248. The catalogue with illustrations by Raoul Dufy, Albert Gleizes, Jean Lurçat, Henri Navarre, Jacques Villon and Henry de Waroquier, gives few indications except for a list of names, addresses and sometimes a short commentary by well-known art critics such as Raymond Cogniat, Louis Chéronnet or Bernard Champigneulle. Was it necessary to destroy all evidence of an exhibition organised on the eve of a war by an internationally-minded association? The catalogue discovered in family archives led me to the Galleria Museum, but the museum library’s documentation department then informed me that they had no record of this exhibition: ‘Only the exhibitions on English binding and puppets are recorded for the year 1939’ (letter from the museum’s documentation department, 27th October 2003). This catalogue does however exist and a letter dated 18th July 1941, sent by the museum to Jacques Viénot (family archives) also testifies to the connection between this establishment and the president of Porza, along with the minutes found in the City of Paris archives (note 28). J. Viénot, L. Cappiello, sa vie, son œuvre, Clermont, 1946, pp. 88-89. Jacques Viénot says that the idea for a design consultancy in industrial aesthetics came to him in 1929, during a trip to the United States where he met Raymond Loewy, but it is only at the end of the 1940s, with Technès, that he finally set up an agency dedicated to ‘research, creation, sale of designs, prototypes, of a technical, commercial and aesthetic nature’ (trademark registered at the commercial court on 5th January 1949). For his account, see ‘Esthétique des formes’, CNOF, Revue mensuelle de l’organisation, 15th & 16th May 1959, p. 35. As Claire Leymonerie demonstrates in her thesis on industrial design in France, ‘Des formes à consommer, pensées et pratiques du design industriel en France (1945-1980)’, presented on 14/12/2010, Ecole des Hautes Etudes en Sciences Sociales (EHESS – Paris – School of Advanced Studies in Social Sciences), under the joint supervision of Franck Cochoy and Patrick Fridenson. On the subject of the links between Jean Coutrot and Porza, Claire Leymonerie refers to the publication by O. Dard, Jean Coutrot, de l’ingénieur au prophète, Presses universitaires franc-comtoises, 1999. See Esthétique industrielle no. 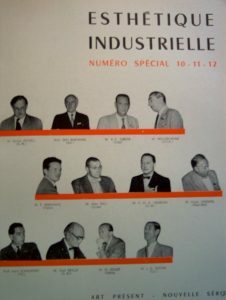 10-11-12, 1954, by E. Souriau, ‘Rôle des considérations de temps dans l’Esthétique industrielle’ and by G. Friedmann, ‘Quelques aspects psychosociologiques de l’Esthétique industrielle’, pp. 12-16. Art présent, no. 13, 1950. ‘Educating the public, that means fifty years. The solution must be found elsewhere. Let’s educate the producers. That’s where the truth is, I’m sure of it’. J. Viénot, ‘Esthétique et qualité’, conference given by Jacques Viénot, extracts of which appear in Esthétique industrielle, no. 7, 1952. See also the chapter by C. Leymonerie, ’La promotion de l’esthétique industrielle : infiltrer le marché et s’immiscer dans l’entreprise’, Des formes à consommer…, op. cit., p. 181. 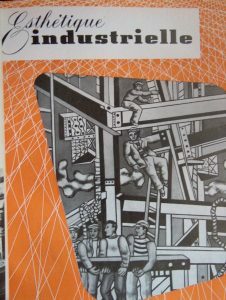 Formes et Industries, Label français d’Esthétique industrielle, 30 années de label, a publication of the Institut Français d’Esthétique industrielle, 1983. Before becoming ‘Janus de l’industrie’, the label Beauté France became Label Beauté Industrie, the same year that, under Henri Viénot’s editorship, the review Esthétique industrielle became Design industrie, in 1965. Une vie intense, op. cit., p. 21. Jacques Dumont is also president of the Société des Artistes Décorateurs (SAD) and played an active role in Porza alongside Jacques Viénot and Pierre Vago. Esthétique industrielle, no. 10-11-12, 1954, p. 28. See under ‘Informations ’, Esthétique industrielle, no. 28, 1957. 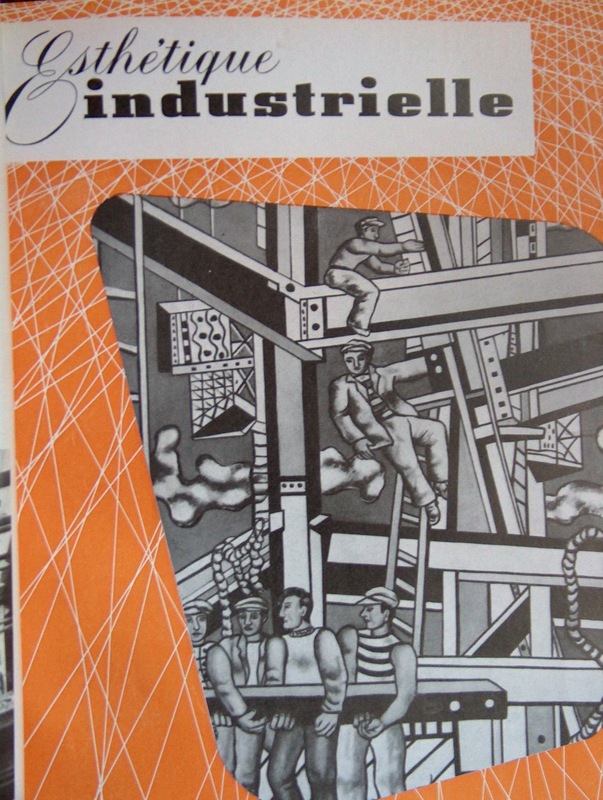 On the subject of the French position on industrial aesthetics defended by Jacques Viénot and his friends from the Institut d’Esthétique industrielle, see Jocelyne Le Bœuf’s essay : Jacques Viénot and the « Esthétique industrielle » in France (1920-1960), Design Issues, vol. 72, N° 1, Winter 2006, pp.46-63. This study is more specifically concerned with the French notion of industrial aesthetics with regard to functionalism, fine arts and philosophy. Fore more on these questions see the chapter entitled « Du Comité de liaison internationale à l’ICSID », Jocelyne Le Bœuf, Jacques Viénot…, op. cit. pp. 119-127. It looks particularly at the discussions between Viénot and the American designer Peter Muller-Munk. A meeting in Paris (April 13-14 – 1956) had established Jacques Viénot as the founder of the Liaison Committee and the american designer Peter Muller-Munk as the president. The vice-president was Misha Black, from the Society of Industrial Artists (England). Esthétique industrielle, no. 10-11-12, 1954, p. 4. ‘Lettre ouverte au Ministre de l’Éducation nationale’, Esthétique industrielle, no. 14. Conférence ‘La journée de l’esthétique’, CEGOS, ’Esthétique et qualité’, Esthétique industrielle no. 7, 1952. See Claire Leymonnerie’s very interesting analysis of ‘Formes utiles’ and A. Herman, ‘Formes utiles ou Esthétique industrielle : faire advenir le design en France (1945-1960)’, Des formes à consommer, op. cit., pp. 33-135. English Translation by Sarah Joksimovic. So pleased to discover that the documentation pertaining the birth of the Porza has been placed in this column. The french branch of the Porza association thanks to its founder and President Jacques Vienot became one of the most successful in Europe and abroad. We know now that it all began in the early Twenties in a lovely little village overlooking lake Lugano bearing the name Porza. The idea was born right there in the mind of three men. The main purpose of the association was to offer artists the possibilities to create in peaceful places. “The Porza Houses” nestled in nature, ideal for thought and reflection, away from daily distraction, made all this possible. This proves again that great things start always with an idea and with imagination. One quote from Einstein: » Logic will take you from A to B. Imagination will take you everywhere. » Yes, the Porza seed was planted and grew into a strong tree that bloomed and branched out a long way. It can also be seen as the source that became the river reaching out into other lands, rivers, lakes and oceans. It became international. The three men, the German painter Werneralvo von Alvensleben, the Russian painter Arthur Bryks and the Swiss sculptor Mario Bernasconi after the Porza headquarter in Berlin opened, had their first successful artist exhibit on December 10, 1927 followed on March 6, 1928 by a great Prominent Ball at the Grand Hotel am Knie in Charlottenburg. Important contacts were made and more and more members joined the Porza. On March 25, the second exhibit took place whereby with the three founders, the following artists exhibited. Edward Matare, Max Dungert, Kaethe Kollwitz, Marianne von Werefkin, Alexey Jawlensky, Yves Klein, George Muche, Nicolay Wassilieff, Otto Niemeyer, Arthur Segal, Christof Drexel, Oswald Herzog, Lothar Homeyer, the writer Carl Zuckmayer and others. This was only the beginning. How it flourished is well described by Jocelyne Leboeuf to whom I am so grateful. Je prends contact avec vous car cet article reproduit un numéro exceptionnel de « L’Art et l’argent » que j’ai du mal à consulter (cette revue n’est disponible que dans très peu de bibliothèques françaises et l’état des collections ne mentionne jamais ce numéro). Ce numéro spécifique m’intéresse dans le sens où il est censé contenir une interview de Roger Dutilleul, collectionneur à l’origine de la collection d’art moderne du LaM. La reproduction de la couverture dans cet article semble être une photographie « maison », j’en conclus que vous possédez ou avez pu consulter cet exemplaire. Pourriez-vous m’indiquer dans quelle bibliothèque, ou bien me confirmer l’existence de cet article si vous l’avez entre les mains ? Je vous en serais infiniment reconnaissante. Jeanne-Bathilde Lacourt, conservatrice en charge de l’art moderne au LaM. Sono anni che ho lavorato e spinto per far riconoscere in Tiicino questa Associazione Internazionale legata a Mario Bernasconi (che ne fu uno dei fondatori). 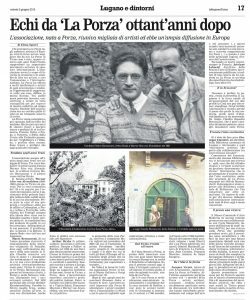 Grazie alla giornalista Elena Spoerl , Prof. Jocelyn Le Boeuf , al Dr. Mara Folini e Prof. Giuseppe Curonici ora su Rete uno « Chi assaggia rimane » di Elisabeth Camozzi appare questo programma. Questo contribuira a fare conoscere »La Porza » anche in Ticino.